Midnight Pacific is an independent game development studio from Glasgow, Scotland. We are currently developing our first title, Kanshi City, hoping to be released late 2017 or sometime into 2018. 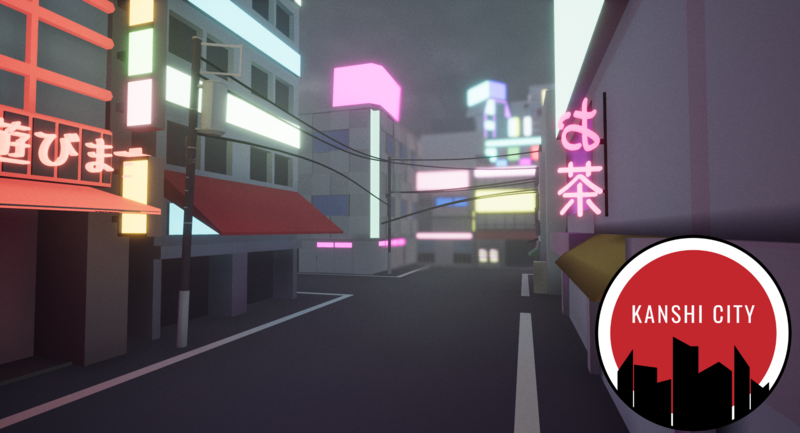 Kanshi City is a game about tracking people down in a city, inspired by asian cities such as Tokyo or Hong Kong. We are a small team of two, a programmer/designer and artist. We are using Unreal Engine 4 to develop Kanshi City. You can find us on itch.io, IndieDB, Twitter, YouTube. You can also get in touch via email midnightpacific@gmail.com. This blog will serve as a place to log development updates for our games, as well as general updates for us as a development studio. We will also post our development blogs to our pages on itch.io and IndieDB as well as any other game community websites we join in the future. I have read many times a common failure for indie developers is to leave marketing and audience building until your game is near completion. Who are you going to sell your game to if know one knows about it? We have halted development on the game itself for a couple weeks while we set up our marketing channels. This is so once a unit of work is done we can write about it and post up any screenshots and videos we capture to various game communities. Although it can some times be easy to forget to record screenshots! Recording development is useful for motivation as well as marketing. Having other people see your progress pushes you to improve and continue working to finish your product. It is also great to look back and see how you have progressed over time, going from basics to something you can play and that looks like a real computer game. So the technology we are currently using is: Unreal Engine 4 as our game engine, Blender for 3D modelling and the Adobe suite for texturing and so on. Outside of actual game development we use Toggl to track time, Trello and Google Drive for tasks and documentation and Bitbucket for our source control. I wrestled with the idea of hosting our studio website and website for our games on various platforms and technology combinations but opted for using Github pages with the Jekyll static site generation system. The reason for this is that we don't need anything too complex at such an early stage, and it keeps costs low as the only thing we need to pay towards our website is the yearly domain registration. Hosting a basic website on Github is completely free! We are able to write blog posts using Jekyll which is like a small content management system similar to Wordpress but uses no databases. You write posts and construct pages using HTML and Markdown. Only this website is running on Jekyll, the Kanshi City website is just HTML and CSS. I love the modern style of indie websites where it is basically just an interactive poster which shows you right away what the game is about and calls to action of where to find more info/buy it, much like the websites featured on the Humble publishing page. That is all we have to update you with at this time. Come back later for more updates from us!